Some gifts mean more than you know. When I was little, my mother loved my paintings. She’d coo at my wobbly rainbows, kiss my head, and say, “Aren’t they nice?” But over the years, her attitude changed. Her mental illness stoppered her ability to love. She believed invisible people walked through walls and poisoned her tea, that the TV spoke to her, and that I was cruel because I wouldn’t make the voices in her head go away. I tried so hard to get her help, yet she refused everything, including medical treatment, homeopathy, and hot meals. She hated everyone, especially me, since I’d failed to fulfill my destiny, which was apparently to become a famous actor — someone she said she’d have been proud to claim. My big realization came one Christmas. In spite of my stressful, full-time job, I’d taken time out to paint her a beach scene. I made myself so vulnerable with that gift, as if I didn’t know she’d reject it. The painting had taken me weeks, yet when she tore off the wrapping, she glared at that little framed offering as if it was soiled. It seemed like the moment lasted for ever: the ticking of the carriage clock, the cold sunlight, and my mother setting my painting aside, cutting me out with a lift of her chin. She’d raised me to believe that darkness wasn’t real, and yet, right then, I felt nothing but shadow. I vowed I’d never again give her something from my heart. It was over a decade later when I gave her the crystal. My mother had taped tissues over every switch to stop the electricity that she thought was controlling her, and no cards graced the mantlepiece like they usually did at Christmas. I’d bought her a rose quartz and had wrapped it very simply. 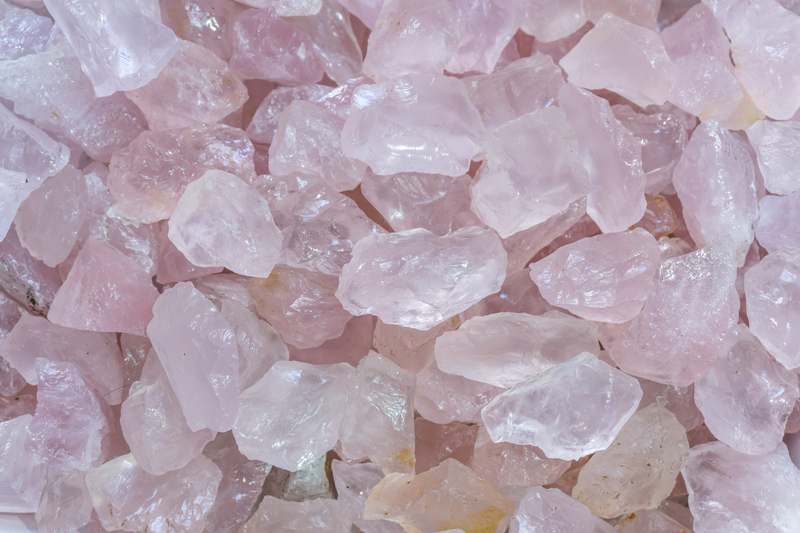 I was in love with these pink crystals, which are thought to spread unconditional love. “Perfect,” I’d decided when I saw the little pink pyramid in my favorite New Age shop. It wasn’t that I thought it could make my mother’s love unconditional. I just wished she would feel love for something. As it was, in spite of my attempts, she’d soon tell me she could see into everybody’s minds — and that everyone, everywhere, thought I was a bad person. But this particular Christmas, returning home from overseas, I watched, holding my partner’s hand, as she hunched over my gift, slowly tearing the wrapping away. Don’t worry what she says, I thought to myself. The crystal’s here now. Let it do its work. With she saw the pink pyramid, her dull eyes widened. She looked right at me, which she rarely did, and said, “This is the most beautiful gift you’ve ever given me.” The shape, she said, was symbolic in her belief system, and I let that thought lie between us. Stunned, I had no way of dealing with her gratitude. All I felt was my partner’s hand in mine. My mother’s pleasure lasted just moments. I tried not to attach to it. (How painfully easy it is to believe we are finally loved!) And even though later that day, I’d still leave that house in tears, with a familiar hurt in my chest, I believe that gift is still with her. I believe it did something, for us.